Many Atlanta teens spend their summers working in the landscape industry or working at a nursery or greenhouse. These physically demanding jobs are available for teens age 16 and up, although young people who are expected to drive a motor vehicle on the road as part of their job must be at least 17. While landscape work can provide fulfilling labor and a paycheck for teens who need spending money, there are also significant risks associated with work in this profession. When a teen is injured while performing landscaping work, the young worker should generally be entitled to the same type of workers' compensation benefits an adult could receive. This can include payment of medical costs and disability benefits. An Atlanta workers' compensation lawyer at Van Sant Law, LLC can help with an injury claim when a teen sustains harm on-the-job. The Occupational Safety and Health Administration (OSHA) provides guidance to teen workers and their employers in the landscaping industry. There are specific risks identified that may cause the most dangers to teens on their summer job, as well as tips for preventing top causes of injury. One particular danger young people face when doing landscape work is the risk of illness caused by exposure to pesticides. Teens should not handle any pesticides for any reason (including to mix or apply them) unless they have undergone sufficient safety training by an employer. Teens should be able to see the label of the pesticides they are being asked to work with and should be informed of hazards. Employers should provide appropriate safety gear as required by the pesticide label, and teens should ensure they have long sleeves, long pants, and eye protection when dealing with pesticides. Any clothing worn when applying or mixing pesticides should be washed separately and any pesticides that get on the skin should be immediately washed off. 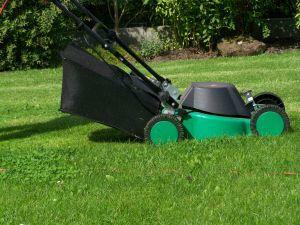 Another risk teens face is when using equipment like a weedwacker or a lawn mower. Teens should wear eye protection when using these machines and should consider wearing earplugs if the noise level is too loud. Long pants and long sleeves are recommended, especially for weedwacking. Prior to mowing an area, it is also essential to ensure any objects like rocks are out of the mowing field as these could fly into the air when struck by the mower and could cause blindness or impact injuries. Teens working outside doing landscaping are also in danger of heat-related injuries on the job. Teens should rest, get plenty of shade, and drink lots of water when working outdoors under the hot sun. Young workers may not be fully aware of all of the dangers they face in the landscape field. It is up to employers to provide adequate information and training to keep their young employees safe and reduce the risk of serious injury or workplace fatality. The Atlanta work accident lawyers at Van Sant Law, LLC can represent you after an injury caused by any job tasks. Call today at 404-991-5950 or contact us online to schedule your free consultation.